"Viaja con Didi" -- "Ride with Didi." That's the message that Didi Chuxing, China's dominant ride-hailing company, is sending potential drivers and passengers in Mexico. Didi launched in the Mexican city of Toluca on Monday, the first time the company has introduced its ride-hailing service outside China. It says it plans to move into other major cities in Mexico later this year. Didi is best known for driving Uber out of China in a vicious, costly battle. Its move into Mexico expands their rivalry. Uber, which shifted much of its attention and resources to Latin America after retreating from China, is the biggest player in Mexico, with Mexico City one of its largest markets. Didi is already challenging Uber in another Latin American country. It bought 99, a Brazilian ride-hailing startup, in January. The Chinese company is entering the Mexico fight flush with cash. It secured $4 billion in fresh funds in December, saying at the time that it would use some of that money to fuel its global expansion. Uber, meanwhile, just retreated from Southeast Asia, offloading operations in eight countries to Singapore-based rival Grab last month. Selling the Southeast Asia business "puts us in a position to compete with real focus and weight in the core markets where we operate," Uber CEO Dara Khosrowshahi said in a statement at the time. Mexico is one of those core markets. Uber launched there in 2013, and has battled with regulators to grow operations in the country. 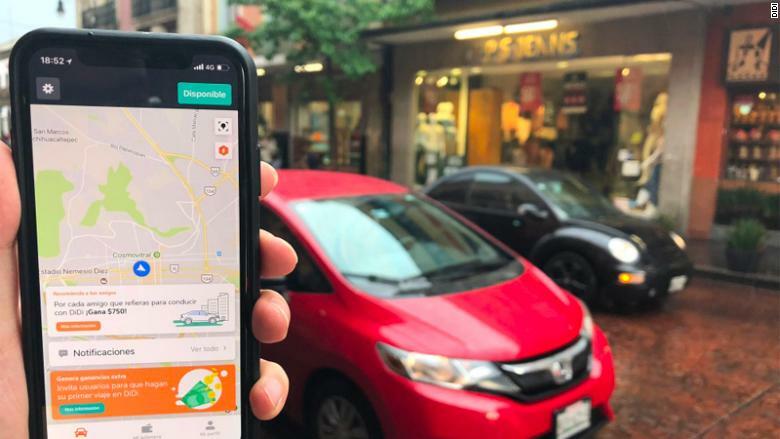 It currently operates across 41 cities in Mexico and holds 87% of the country's ride-hailing market, according to Dalia Research, a market research firm. Uber plans to go public in 2019, a move that adds pressure to shed its less successful operations and increase revenue in more promising markets. It sold its China business to Didi in 2016, becoming Didi's largest shareholder as part of the deal. Didi took a minority stake in Uber, too. Didi has partnerships with seven international ride hailing companies, including Uber's main US rival, Lyft.